After having read "Stemmen fra Ådalen", "Sort Forsyning", and "Skizofrenia", I was inspired to write this article. Note that GamemastersDK is an english blog written by Danish tabletop roleplayers. Both of my games are D&D 5e, and they are games that are starting next week from tuesday 7th March 2017. Both are set in my homebrew world of Aresia and focusing on expanding the tabletop roleplaying knowledge in Denmark. At Fastelavn 2017 in Dalmose, I was approached by a family that had noticed some of my previous D&D work, and they asked me to set up some tabletop roleplaying games for the children in the local community. I've therefore set up a 2 hour session every tuesday that any children between 9 and 12 that can speak either danish, english, or french, can attend at Atkærcenteret in Dalmose. The game will be based on the Storm King's Thunder D&D 5e adventure and modified to fit into my homebrew setting where the Tyranny of Elves reigns. The dragon leader Langdedrosa of the halfling jungle of Harken is manipulating the giants serving the elves in the hopes to split the government of the Tyranny of Elves in order to weaken it so she can invade Cimmeria. The first games will focus around the city of Nightstone where the players will clear it of goblins and rescue its inhabitants after it was attacked by giants. 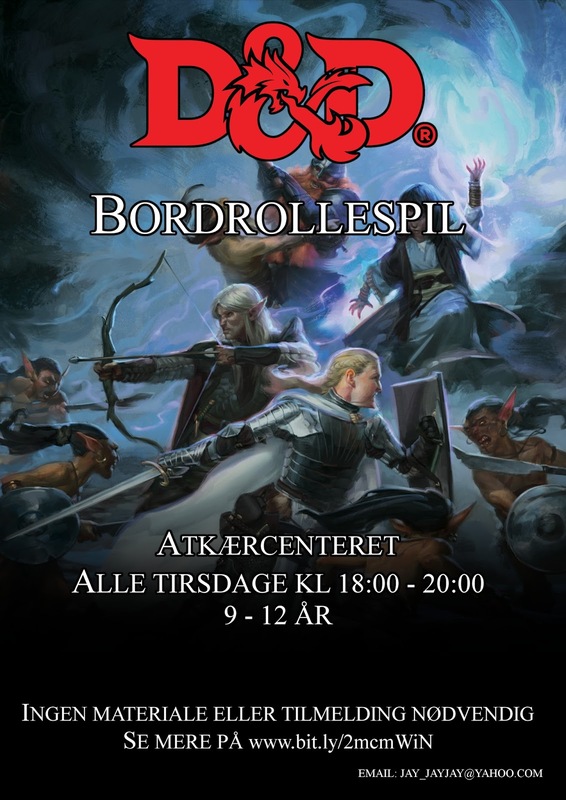 I've assembled a group to plan a large D&D 5e event to take place at Comic Con in Copenhage 2017. We are largely advertising for this event, and as part of this, I've decided to host a 2 hour streaming session of a D&D 5e game with famous danish people once per week. The exact players will be announced next week. The game itself will be the Curse of Strahd adventure modified to my own homebrew world. The players will find themselves in the Shadowfell, more specifically in the land of Daedaloth, which is being taken over by the powerful being known as Sunder. The players will travel from the ruined capital of Al'Rual where Sunder resides, and into the heart of Daedaloth, to the current capital of Hallalia and other cities. This will be a great example of how to modify a prewritten adventure to a homebrew setting.